New Additions to TBR 2-6-10 (Ann Arbor Edition) – my books. my life. While I was on twitter the other day, Jen from Devourer of Books mentioned that every book she read recently took place in Ann Arbor. Naturally, I immediately wanted to read every single one and asked her which books they were. Most of you already know this, but for any newer readers, I grew up just outside of Ann Arbor* and then attended The University of Michigan for both undergrad and law school. I adore Ann Arbor and miss it very much. The only book I’ve really read that takes place there is Charles Baxter’s The Feast of Love . While reading it, I loved being able to accurately picture the story. So I decided that this week’s TBR post would feature those books that Jen mentioned. *From the Detroit Metro Times: Dream House as a whole is an excellent portrait of “the stereotypes that distinguish posh Ann Arbor, backwoods Dexter, and Ypsilanti.” While I take offense to the label of my hometown as “backwoods”, I LOVE that it gets mentioned in a review and can’t wait to read about the stereotypes. Disclosure: I am an Amazon Associate. If you make a purchase from Amazon using the links I have provided, I will receive a portion of the sale – the proceeds of which are used to support this blog. There is no cost to you. Oh, I like that hardback cover of Dream House, I definitely prefer it to the paperback. I really like the hardback cover although I’d probably end up buying the paperback. I can’t wait to read The Weight of Heaven. I hear such great things about Thrity Umrigar. Me too. I’ve only heard good things. 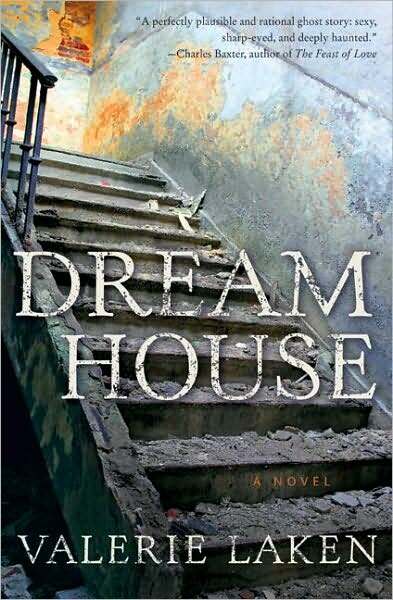 I read in the paper the other day about a new movie called Dream House that’s going into production starring Naomi Watts. I wonder if it’s based on this book? Interesting list! ‘The Weight of Heaven’ is an interesting title. Thrity Umrigar is an interesting name – Umrigar is a Marathi name! I didn’t know that ‘Feast of Love’ is set in Ann Arbor, Michigan. I saw the movie version and in the movie it is set in Portland. Why didn’t they make the movie in Michigan? I don’t know why they changed the location for the movie. I never actually saw it, but I remember being upset that they did that. It is sad that they changed the location. The movie is nice though – beautiful story with Morgan Freeman in a leading role. But it would have been nicer if it had been set in Ann Arbor.